Time for some magic mushrooms? When your heroes are out in the wild and they run out of food, what do they eat? Maybe they are lost and alone. Maybe bandits or goblins stole all their supplies from camp while they were out exploring. Who knows? 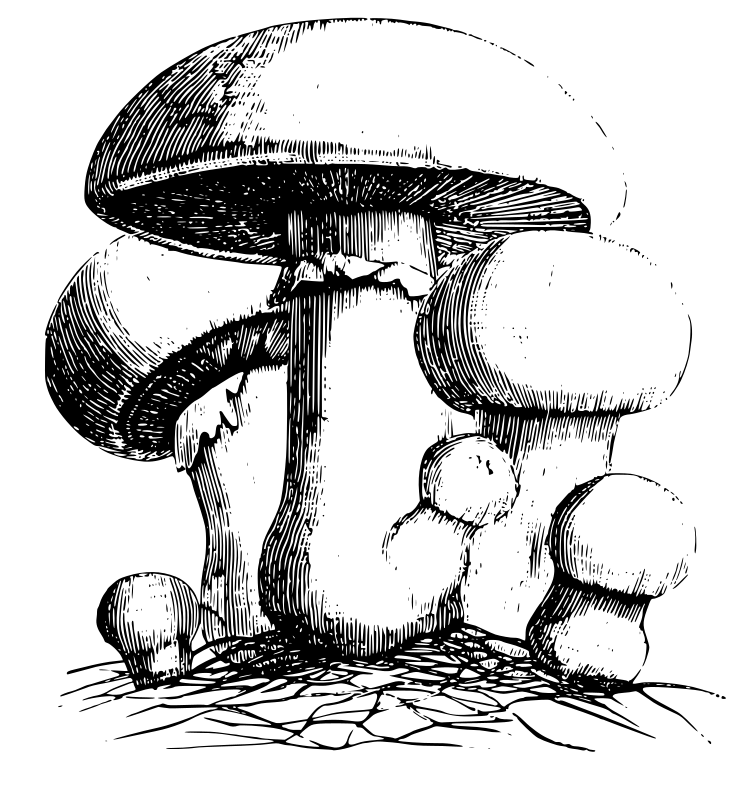 As a GM, I thought it might be fun to come up with some things that might appear in the woods, the jungle, or even in the occasional urban garden. So I thought it might be interesting to look at it in terms of color, size, texture, location, and whether they were for good or ill.
(Red/Tiny/Smooth/Ground/Beneficial) Scrounging for food in the forest, you come across a patch of tiny red berries growing in clumps near a rock outcropping. Each clump contains between ten and twenty berries. Though you’d not seen them before, you watched a squirrel eat a few and not seem to suffer any ill effects. Each berry has a smooth sweetness that you enjoy immediately. They won’t fill you up, but they may keep the hunger at bay for a time. (Yellow/Small/Lumpy/Low/Detrimental) Growing along the sides of trees in the forest you find a strange yellow lichen growing. Starving, you decide anything is better than going another day without food and find the lichen to have a lumpy texture but a rather bland flavor. Unfortunately it works quickly as a laxative, causing your bowels to release involuntarily. (Green/Medium/Crunchy/Mid-level/Beneficial) When you first entered the jungle, you saw several troupes of monkeys moving freely in the treetops and snacking on the broad green leaves of particular trees. When those same monkeys managed to steal the packs out of your camp while you were sleeping, you decided to see what those leaves tasted like. Climbing the ten to fifteen feet to where the broad leaves grew, you found them quite filling. Each bite has a satisfying crunch and a fresh leafy taste, like lettuce but with more body. I know this is a bit odd for a random topic, but as I sit here writing this at 4am, one of my two dogs is in the animal ER. She may have eaten some mushrooms in the back yard after our last few rainy days. That inspired the post. And I’m hoping she gets to come home today. Writing this article helped keep the doubt at bay for a little while.